Unveil the out turn of Mars Transit in Cancer on all the zodiac signs with this webcast and apprise yourself with the do’s & don’ts during this transit period that spans for almost one and a half month. 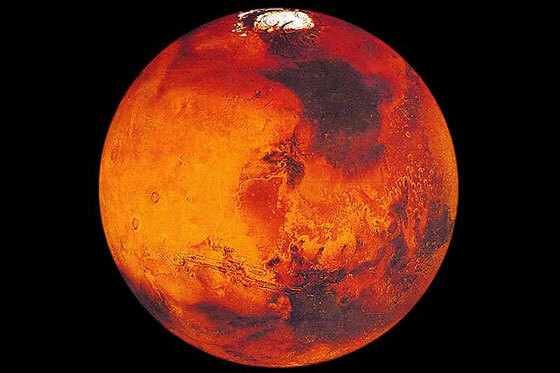 Being red in colour, the planet Mars is considered to be a fierce planet and is contemplated as Bhumiputra i.e. the son of mother Earth according to the Vedic Astrology. The planet Mars rules two signs of Aries and Scorpio. The planet Mars exalts in the sign of Capricorn and debilitates in the sign of Cancer. The planet Mars signifies the Karak planet of valour, courage, enthusiasm and energy. Moreover, the planet Mars is appraised as the Commander of all the nine planets of the solar system. Worshiping the planet Mars makes a person to get rid off the debts and poverty. In addition to it, the planet Mars vouchsafes a person with land, property and conveyance. If we ponder over the Cancer and Leo ascendant, then the planet Mars acts as a Yogakaraka and endows the person with wealth and prosperity. On 11th of July 2017 at 15:20 PM, Mars will enter the Cancer zodiac and will remain posited in the same till 08:51 AM on 27th of August, 2017. This transit of Mars in Cancer would have a substantial thrust on all the 12 zodiac signs. So, let us have a glance over the impact of this transit on all the 12 zodiac signs. Considering the Aries sign, Mars will transit into the 4th house from your moon sign. This transit would fetch you mixed results and you need to take proper care of your parents. You need to give proper attention to your mother’s health, as she might get sick. You would feel pretty confident at your workplace and you might receive beneficial results at your workplace. Some tiffs in your marital and domestic life is presaged. Moreover, you would be able to increase your income quite easily. REMEDY: Wear Anantmool (Jadi/Root) on your arm on Tuesday. Contemplating the Taurus sign, Mars will transit into the 3rd house from your moon sign. During this transit period, your determination and perseverance would be pretty high. But still you need to keep yourself in control and refrain yourself from getting indulges into someone else’s matters, as it might cause trouble for you. This transit period would bring about sufferings for your siblings. In this transit period, your spouse might procure some achievements. You would be able to supercede your opponents, but you need to abstain yourself from controversies. Apart from this, a change in your job is also presaged. REMEDY:Donate red lentil on Tuesdays. Pondering over the Gemini sign, Mars will transit into the 2nd house from your moon sign. During this transit period, harshness in your speech might create potential troubles for you. Because of this only, you might hurt the sentiment of your loved one and might bring about tiffs in your domestic life. Though, you would be able to accumulate wealth, but you would lack the mental peace in yourself. In this transit period, health of your spouse might get down. Moreover, you might receive benefits from land & property, but that too from some dispute or struggle. Taking into account the Cancer sign, it can be deduced that Mars will transit into its own sign. During this transit period, your health might get affected a bit and you might get excited very frequently. And probably this would be the reason that could result in disputes and quarrels. You need to be calm and keep a control on your aggression. In this transit period, stubbornness and arrogance would be there and tiffs in your marital life is presaged. Dissensions with spouse is probable in this transit period. You would achieve success at your workplace. As far as the students are concerned, they would excel in their field and they would get good results. Though you would get success but it would come hidden with controversies. REMEDY: Use Silver made utensils daily. Taking the Leo sign into consideration, Mars will transit into the 12th house from your moon sign. During this transit period, you might go abroad for your professional or study purpose. Those who are already in abroad might face some issues. Your expenses would remain high in this transit period. However, you would dominate your enemies in this transit period. You would get success in litigation, and health of your spouse might get affected. You would excel at your workplace and you would put up your best efforts. You need to take care of your health as well. Talking about the sign Virgo, Mars will transit into the 11th house from your moon sign. This transit presages high gains for you. Inflow of wealth would be there and you might earn through unfair means too. During this transit children would do well, and some issues in your love life might sour the taste of your relationship. You might enjoy with your friends in gatherings and get togethers. You would dominate your opponents and you might receive an achievement suddenly and unexpected gain is presaged. REMEDY: Donate copper and red flowers. Considering the Libra sign, it can be inferred that Mars will transit into your 10th house from your moon sign. During this transit period, you would progress at your workplace and your position might elevate at your workplace inspite of any dispute or controversy at work. Tiffs in your domestic life is probable. Moreover, you might become aggressive in nature and your health might decline a bit. In this transit period, there might be some troubles in your love matters. As far as students are concerned, they might lack in studies and they would become stubborn and clingy. REMEDY: Offer wheat to Shivling on Tuesdays. Considering the Scorpio sign, it can be envisaged that Mars will transit into the 9th house from your moon sign. In this transit period, your struggle & hard work would fetch you success, and you would receive rewards of the same. During this transit period, health of your father might decline and your relationship with him might become sour. Moreover, you would enjoy a good rise or elevation in your life. Long journeys are probable in this transit period. Some issues with the siblings is also presaged. In this time period, health of your mother might also get affected. Apart from this, you might even think of changing your current workplace. REMEDY:Wear Anantmool (Jadi/Root) on your arm on Tuesday. As far as the Sagittarius sign is concerned, Mars will transit into the 8th house from your moon sign. During this transit period, yours and your spouse’s health might decline. There might be tiffs in your marital life due to harsh arguments. Your father’s health might get affected, so you need to take proper care of him. In this transit period, you need to drive carefully as chances of injuries are probable. If you are a sadhak, then the time is favourable to go ahead for any siddhi which is of tamasic in nature. In this time period, your siblings might face some challenges and probability of development of any perennial disease would be high. Considering the sign of Capricorn, Mars will transit into the 7th house from your moon sign. This transit period would be a quite challenging period for you. During this transit period, you would face hardships and disputes in your marital life. Your spouse’s health might decline and you both would become impulsive in nature. Moreover, aggression would dip into your behaviour. In this time period, you need to control your anger as it would give you troubles at both the personal and professional fronts. Your professional status would get enhanced with some struggle in achieving the same. Observing the Aquarius sign, Mars will transit into the 6th house from your moon sign. In this transit period, health issues might trouble you. However, you would supercede your opponents, but sometimes you might get indulged in matter of others that might give you troubles. During this transit, health of your spouse might get weak and your expenditure would increase. You need to control your anger and also you need to drive carefully. You would put your best and sincere efforts at work and your hard work would be paid in due course of time. REMEDY: Donate red sandalwood on Tuesdays. Beholding the Pisces sign, Mars will transit into the 5th house from your moon sign. During this transit period, you income would increase a bit and children might suffer from health issues. Moreover, they might feel pretty irritated and aggressive. As far as the students are concerned, then in this transit period they might lack in concentration and they would face obstacles in their studies. Your spouse might receive sudden or unexpected gains. However, in this transit period, you might go abroad for the purpose of studies. In this transit period, you might change your job. Apart from this, disputes in love matters is also probable. You need to give space to the feelings of your partners and you might get upset soon. We at AstroSage, hope to have helped you unravel the mystery of this transit and what it might hold for you. We wish the best for you during this transit period!